UMFA Seminary Scholarship Applications are now being accepted. 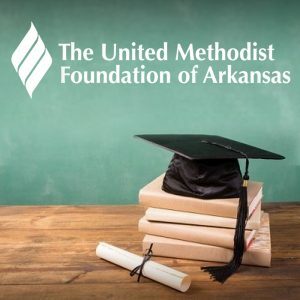 This $22,000 yearly scholarship is for those seeking Elders orders, planning to serve in the Arkansas Conference and attending a UM Seminary (i.e. Perkins, Duke, Iliff, St. Paul, Candler, Boston, Garrett, Gammon, United, Claremont, Drew, Wesley, Methodist Theological). The deadline for applications to be submitted is March 1, 2018.